Maybe some of you have noticed the FoodBuzz banner on the sidebar of this blog. It’s been there for a few months now and I am just getting around to talking about it. Some Featured Publisher I am, eh? If you love food, then you have to check out Food Buzz. It’s where food bloggers and food lovers go to interact with each other or just to see what’s new in the food world. 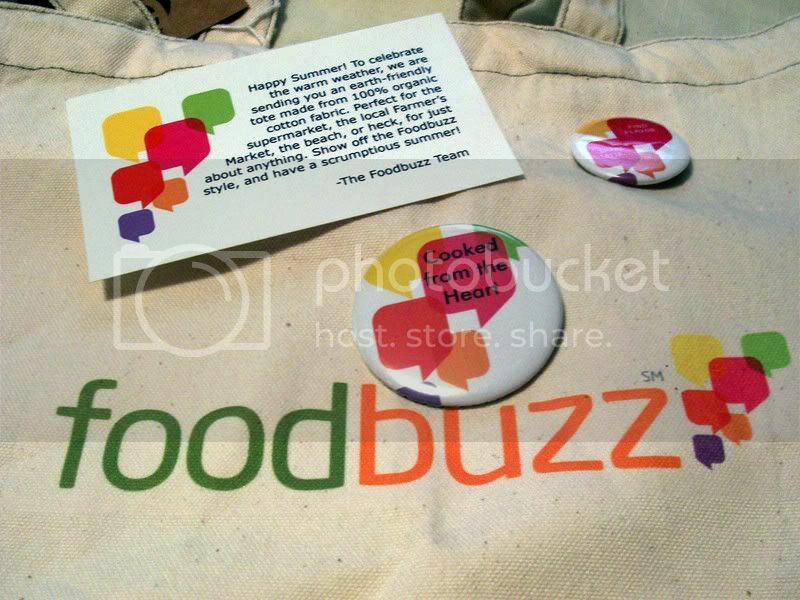 Sign up and join the Food Buzz community and if you have a food blog, you can even sign up to be a featured publisher . As a featured publisher, not only do you become a member of a great community, you also can get lucky and be picked to receive cool gifts like the one I just got just because it’s summer. If you sign up, make sure to add me as a friend, ok? Check out my profile here. You may also find that many of your foodie friends are already there!